I have been a professional tutor for seven years in biology, math and French, and am currently an adjunct professor for Biology at Blue Ridge Community College, where I was recently recognized for excellence in teaching. I also help to run BRCC's tutoring center, and actively tutor students in biology, math, and chemistry. I have a Master's in Biology from James Madison University, and another in Molecular and Cellular Biology and Biochemistry from SUNY Stony Brook. As a graduate student and now at Blue Ridge, I have gained a great deal of experience in clarifying the many difficult, and sometimes confusing, concepts inherent to science and math fields. I have also completed the necessary training in order to teach in public school in Virginia. However, I prefer to provide one-on-one tutoring and enrichment opportunities as these experiences are far more rewarding than k-12 classroom teaching. In addition, I have a solid mathematical background, having taken courses including calculus, linear algebra, differential equations and discrete mathematics. I have had a lot of success helping students understand the complexities of statistics, algebra, calculus and trigonometry. I feel that the root of my success is my ability to respond to various different learning styles and interests. I love to teach, and find that teaching students one-on-one is the most rewarding since we go at the pace of the student and I do not move on from one topic until I feel that the student is comfortable with that topic. I am a native speaker of French and love to provide lessons in that language, both conversational and writing. Learning a new language is both fun and challenging but, most importantly, it requires active practice, with which I am happy to help. I am a native French speaker with experience tutoring all levels of French. I have written three Master's theses, and have experience proofreading and correcting grammar on student papers of all levels. I have an undergraduate math minor, and my graduate biochemistry degree required a strong understanding of high-level math. Ever since college, I have tutored students in the foundational levels of math, up to and including calculus and statistics, with a high rate of success. I have an undergraduate math minor, and my graduate biochemistry degree required a strong understanding of high-level math, including Algebra 1. I have an undergraduate math minor, and my graduate biochemistry degree required a strong understanding of high-level math, including Algebra 2. Ever since college, I have tutored students in the foundational levels of math, up to and including calculus and statistics, with a high rate of success. I currently teach Biology at Blue Ridge Community College, and have two Master's degrees differing areas of Molecular & Cellular Biochemistry. I have many years of experience in helping students understand difficult concepts, ranging from high school to undergraduate students. I have also completed the necessary coursework to obtain a teaching certification in order to teach high school biology. I have an undergraduate math minor, and my graduate biochemistry degree required a strong understanding of high-level math, including Prealgebra. Ever since college, I have tutored students in the foundational levels of math, up to and including calculus and statistics, with a high rate of success. I have an undergraduate math minor, and my graduate biochemistry degree required a strong understanding of high-level math, including Trigonometry. Ever since college, I have tutored students in the foundational levels of math, up to and including calculus and statistics, with a high rate of success. 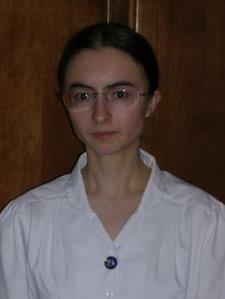 Catherine has been an excellent tutor for Chemistry at JMU. She makes difficult concepts easy to understand. She is reliable and I have used her multiple times and been happy with my test results. I see my sons grades improving! Catherine teaches foundation as well what he is currently working on in class! Understanding why helps a lot with anything you are doing. She is very professional and patient. Glad we made this decision! Catherine worked diligently in explaining the necessary parts of the topics to the student. I would recommend her to someone who is having trouble with calculus. I went from getting an F on my first calculus test to receiving an overall grade of B- in the class! Very helpful, and I will be utilizing her services in the future. Hired Catherine for my daughter at JMU. My daughter instantly text me and told me she really liked Catherine and finally "understood" chemistry. She's looking forward to meeting with her again.